What is Cancer Care Insurance? Cancer insurance plans are types of health insurance plans which provides you with financial assistance in case you get diagnosed with cancer. Cancer insurance is a kind of health insurance that has been created to ensure that all the risks linked with cancer are managed as best as they can be. Cancer insurance helps in reducing the costs incurred by individuals on cancer treatment, thereby ensuring that policyholders have the financial support when they most need it. Cancer insurance has grown in popularity in recent years as it is known to lower stress on the finances of those who have been diagnosed with the condition. Since cancer can strike anybody regardless of lifestyle and family history, it is advised that you purchase cancer insurance so that your finances are not totally depleted on the occurrence of cancer. A number of leading life insurance providers in India have started offering cancer insurance to protect their customers. In this article, we will look at the benefits of cancer insurance and everything else you need to know about the same. Why should people buy Cancer Insurance? While there are many benefits to purchasing cancer insurance, the scheme comes in handy in case you are diagnosed with cancer. Considering the increasing medical costs in this day and age, a cancer insurance will ensure that you receive the financial support to pay your bills and receive quality treatment to beat the condition. A cancer insurance policy provides cover for several different costs related to the diagnosis as well as treatment of cancer, such as chemotherapy, surgery, hospitalisation, radiation, etc. Individuals who wish to purchase cancer insurance will have to ensure that they are not already suffering from cancer as cancer insurance policies do not cover already existing conditions. But purchasing a cancer insurance plan will ensure that there is no domino effect on the individual or his family and help them remain strong emotionally, physically and financially. It is essential to consider the purchase of cancer insurance if your family has a history of cancer, or if you do not have sufficient savings to meet medical expenses, or you are the sole earning member of the family, or if your basic health insurance policy does not offer comprehensive coverage for cancer, or if you have a fear of developing cancer owing to environmental or other reasons. The risk of cancer has greatly increased in the recent past due to several environmental and lifestyle factors. In addition to being a serious physical ailment that requires extensive care, cancer is also an expensive disease to treat. With healthcare costs on the rise, being diagnosed with a critical illness like cancer can drain one’s hard-earned savings and can even leave an individual in debt. Thus, purchasing a cancer insurance policy as a precautionary measure is a smart decision since a cancer insurance policy can provide financial protection to the policyholder, in case he/she is diagnosed with cancer at any point of time. If you are considering purchasing a cancer insurance plan for yourself or your family members, here are the best cancer plans offered by insurance companies in India with the highest claim settlement ratio for FY17-18. The Cancer Insurance Plan from Max Life Insurance is a non-participating, non-linked insurance policy that provides coverage for all stages of the disease. This policy provides coverage against Carcinoma in Situ (CIS), Early Stage Cancer, and Major Stage Cancer. The sum insured automatically increases by 10% each year until no claim is made, up to a maximum of 150% of the sum insured. Policyholders can also receive tax benefits as per the prevailing tax laws. In order to purchase this policy, the policy buyer needs to be 25 years or over. The maximum age at entry is 65 years. The minimum policy tenure that can be chosen is 10 years, while the maximum policy term that can be opted for is 40 years. In order to purchase this policy, the policy buyer will need to choose a minimum sum insured of Rs.10 lakh. The maximum sum insured that can be chosen is Rs.50 lakh. The waiting period for this policy is 180 days. The survival period required is 7 days. LIC’s Cancer Cover is a non-participating, non-linked insurance policy that provides financial protection to the policyholder in case they are diagnosed with cancer during the policy tenure. This policy provides coverage against all stages of cancer and comes with two benefit options. This policy can be purchased through online and offline channels. At the time of purchasing the policy, the policy buyer can choose either of the two benefit options offered by the insurer - Level Sum Insured option or the Increasing Sum Insured. This policy comes with a premium waiver benefit for both the Early Stage and Major Stage Cancer cover. In case one is diagnosed with Early Stage Cancer, 25% of the sum insured will be offered as a lump sum payout. In case of Major Stage Cancer, the policyholder will receive 100% of the sum insured at diagnosis and an income benefit for the following 10 years. The general waiting period for this policy is 180 days. The survival period is 7 days. This policy can be purchased by individuals between 20 and 65 years. The minimum policy term is 10 years and the maximum policy term is 30 years. The minimum and maximum sum insured for this plan are Rs.10 lakh and Rs.50 lakh, respectively. The Heart/Cancer Protect Plan from ICICI Prudential provides an insurance cover against cancer, heart diseases, or both by way of a joint cover. This policy offers a high sum assured at a low premium rate to the policy buyer. The policy will provide a lump sum payout on the first diagnosis of the disease, regardless of how much one will actually spend on the treatment. Policy buyers can either purchase an individual plan or a family floater plan. The insurer offers a discount to policy buyers who opt for family floater plans. Post diagnosis of the disease, future premiums will be waived off and the policy will continue to remain in force. The cover will automatically increase by 10% every policy year, up to a maximum of 200% of the sum assured chosen at the time of purchasing the policy, provided that no claims are made during this period. The policy provides an additional monthly benefit amounting to 1% of the sum assured on a monthly basis for a period of five years as a substitute for the loss of the policyholder’s income, if applicable. No co-pay charges are applicable on this plan. Policyholders can claim up to Rs.25,000 as tax benefits under Section 80D of the Income Tax Act, 1961, for premiums paid towards this policy. The Cancer Care Plan from HDFC Life Insurance offers policyholders a lump sum benefit upon diagnosis of cancer, regardless of the stage of the disease. The policy comes with three plan options – Silver, Gold, and Platinum, making it easy for a policy buyer to avail coverage as per their needs. All three plan options offer slightly varying coverage. Any policy buyer between the ages of 18 years and 65 years can purchase this policy. The maximum age at maturity for this plan is fixed at 75 years. Policy buyers can opt for a policy tenure between 10 and 20 years. Premiums can be paid on an annual, bi-annual, quarterly, or monthly basis. The minimum sum assured for this plan is Rs.10 lakh, while the maximum sum assured is restricted to Rs.40 lakh. One must survive for a period of 7 days after diagnosis of the disease in order to receive the benefit. In case one is diagnosed with Early Stage Cancer, all future premiums will be waived off. The policy, however, will continue to remain in force and all policy benefits will be payable as per schedule. Policyholders can avail tax benefits under Section 80D of the Income Tax Act, 1961. The Exide Life Sanjeevani Plan offers comprehensive coverage against financial expenses that one might incur due to being diagnosed with cancer or heart related conditions. The policy has two plan options, with Option A only covering heart-related conditions and Option B covering both cancer and heart related conditions. Upon diagnosis of a disease, a payout will be made based on the severity of the condition. A payout will be offered to the policyholder upon diagnosis of a disease/condition, even if the concerned individual has raised a claim under their existing medical insurance policy. For heart or cancer related conditions that have moderate severity, the policy premiums for the following 5 years will be waived off, provided a claim has been paid to the concerned policyholder for being diagnosed with a condition with moderate severity. Policyholders can claim tax benefits for the premiums that they pay under Section 80D of the Income Tax Act, 1961. The minimum and maximum age at entry for this policy are 18 years and 65 years, respectively. The maximum maturity age has been fixed at 70 years. Premiums towards this policy will have to be paid on an annual basis by the policyholder. A waiting period of 180 days is applicable. Claims made during this period will not be paid out. The survival period for heart-related conditions is 28 days. There is no survival period for cancer-related conditions. This SBI Life Sampoorn Cancer Surakhsa Plan is an individual, non-linked, non-participating health insurance policy that provides comprehensive protection against all stages of cancer. This plan comes with three benefit options – Standard, Classic, and Enhanced. Up to 150% of the sum assured can be paid to the policyholder upon diagnosis of the disease, based on the benefit structure that is opted for. The Enhanced Benefit structure comes with an inbuilt ‘Sum Assured Reset’ feature. No medical examination is required to purchase this policy. Tax benefits can be availed under Section 80D of the Income Tax Act, 1961, by the policyholder, for premiums paid. Policyholders can avail a free medical second opinion. This policy comes with an inbuilt Premium Waiver feature, based on the benefit structure selected by the policy buyer. This policy can be purchased for a child or an adult. The minimum age at entry is 6 years for children and 18 years for an adult. The minimum and maximum policy tenure options are 5 years and 30 years, respectively. The DHFL Pramerica Life Cancer + Heart Shield Plan is a non-participating, non-linked, fixed benefit policy. There are four coverage options under this policy – Option I: Cancer Shield, Option II: Heart Shield, Option III: Cancer & Heart Shield, and Option IV: Comprehensive Shield. Thus, policyholders can opt for a coverage option that will meet their exact requirements. This is a fixed benefit policy. Thus, upon diagnosis of a covered condition/disease, a fixed benefit will be paid out to the policyholder. Under the Comprehensive Shield, which is the fourth coverage option under this plan, coverage is offered for diagnosis of cancer and diagnosis of heart conditions. Further, coverage against 26 critical illnesses, as specified in the policy brochure, is also provided to the policyholder. This policy has an in-built premium waiver benefit and income benefit. Under this policy, there are two benefit payout options – Care Benefit and Care+ Benefit. Individuals between the ages of 18 years and 65 years can purchase this policy. The maximum maturity age for this policy is fixed at 75 years. The applicable waiting period for this policy is 180 days. The survival period for cancer or heart-related conditions is 7 days. The survival period for other major illnesses is 15 days. Policyholders can avail tax benefits as per Section 80(D) of the Income Tax Act, 1961. The Cancer Shield Plan from Aditya Birla Sun Life Insurance is a non-participating, traditional health insurance that offers coverage against all stages of cancer. Policy buyers are provided the option to choose either an increasing cover or a level cover. If the policyholder is diagnosed with Early Stage Cancer, premiums for the following 5 years will be waived off. If the policy buyer is diagnosed with major stage cancer, the concerned individual will receive monthly income for a period of 5 years starting from when the disease was diagnosed. Prospective policy buyers have to be between the ages of 18 and 65 years in order to purchase the plan. The maturity age for this plan is 75 years. The minimum policy tenure that a policy buyer can opt for is 5 years, while the maximum policy tenure that can be opted for is 20 years. Premiums can be paid on an annual, semi-annual, quarterly, or monthly basis. The minimum and maximum sum assured under this plan are Rs.10 lakh and Rs.50 lakh, respectively. In addition to the policy benefits, one can avail tax rebates for premiums paid under Section 80D of the Income Tax Act, 1961. With the increasing incidence of cancer cases in the country and the rising medical costs, a cancer insurance plan is a must-have. However, before you purchase a policy, make sure to compare plans offered by various insurance providers, check the benefits and payouts, read through the policy terms and condition, and compare premium quotes. Ideally, you should always opt for a policy that offers you the best coverage at a competitive premium rate. Cancer insurance policies offer cover for multiple stages of cancer. In case the life assured is diagnosed with cancer during the policy term, a lump sum amount will be paid out. In case a life assured is diagnosed at an early stage, he/she can avail a waiver of premium under certain conditions. In case the policyholder does not make any claims during the whole year, the sum assured will increase by a pre-determined percentage. Policies that have been insured for more than a certain amount can avail premium discounts. In case a policyholder is diagnosed with cancer in the later stages, he/she will receive monthly income for a certain time period subject to specific conditions. Insurance cover will continue even after the first diagnosis. Customers who purchase a cancer insurance plan can avail tax benefits under Section 80D of the Income Tax Act. Cancer is one of the most dreadful diseases all over the world. India is one of the most affected countries that deals with several incidents of cancer of various types. Though the medical industry has grown over the years, cancer deaths have only increased. In 1990, cancer was a cause of 3.82 lakh deaths and in 2016, it was the cause of 8.13 lakh deaths. This means that the number of cancer deaths has increased twofold over a period of 26 years. Currently, cancer is a cause of 8.3% of the total number of deaths in the country. The most common types of cancer incidents are lip cancer, oral cavity cancer, breast cancer, cervical cancer, lung cancer, and stomach cancer. The biggest risk factor of cancer was found to be tobacco. During the period between 1990 to 2016, the number of breast cancer cases increased. However, the number of cases with regard to cancer of the cervix, oesophagus, lip, stomach, oral cavity, and leukaemia reduced. Preventing cancer is, hence, the need of the hour. Screening camps need to be conducted in order to detect cancer as early as possible. Further, since tobacco is one of the major causes, the prices of the same need to be increased in order to prevent people from over-consumption of tobacco. Along with the increase in prices, hike in taxes and awareness of the risks associated with tobacco will help tackle the issue. Many people from the lower economic class cannot afford cancer treatments due to the elaborate and expensive procedures, which is why the central government has included coverage for cancer treatments in its ambitious national health insurance scheme called Ayushman Bharat. The scheme offers coverage equal to Rs.5 lakh to each family that is eligible to enjoy benefits under the scheme. The funds allocated towards such treatments will even help track the incidents of cancer through Ayushman Bharat’s database. Insurance companies, today, offer specific health insurance plans such as cancer insurance plans that offer coverage for cancer treatments but such plans may or may not be affordable to the underprivileged. The same is the case with the life insurance plans and riders offered by private life insurance companies for financial aid for cancer patients. Therefore, such people can avail aid through the Ayushman Bharat health insurance scheme. Renal failure: Why it is important to have a cancer insurance plan? Kidneys are one of the most important parts of our body as it flushes out all the toxic and unwanted elements from our system. They also ensure that our blood pressure is maintained including the production of the red blood cells in our body. Thus, due to so many functions that kidney exhibits, it is no doubt one of the most important organs in our body. Kidney failure or renal failure, in general, can result in diabetes, high blood pressure, chronic diseases, infection, etc. Humans possess a pair of kidneys. When both of them stop functioning then the condition is called renal failure. Obstruction of the renal artery or vein which results in irregular blood flow to and from the kidneys. It is recommended that a person stays alert. Any signal that suggests that the person may suffer from renal failure, he/she should immediately take precautions and consult a doctor. While the monsoon season can bring its own share of happiness to people, it is also a season when people can fall sick due to getting hit by various forms of infection. It is one of those times when dangerous bacterias can enter our body and destroy our cells. Rainy season is also one of those seasons during which a person can suffer from kidney failure, and thus it becomes extremely important to take precautions. One needs to be hygienic in nature. Cleanliness is extremely important. Ensure to clean any touched surface with chlorine-based cleaners or bleachers. Ensure that the drinking water is cleaned and disinfected. It is always recommended that one boil their water before drinking or use chlorine before drinking. It is better to stay away from food which is not home cooked. One doesn’t know the source of water used to cook the food and thus the chances of you suffering from kidney failure can rise. Always consume freshly made home cooked food. Hands are one of the biggest sources of transmitting infection. Hence, one must always wash your hands before and after a meal and also after using the bathroom. Ensure that a person cleans their electronic gadget on a regular basis. It is one of the largest transmitter of infections and thus they should be cleaned on a regular basis. One must not consume pre-cut fruits and always eat freshly cut fruits. Pre-cut fruits may have microorganisms accumulated on it which can cause a lot of diseases in our body. Hence, doctors, these days advise that we peel our fruits and remove the outer skin before consuming the fruit as the skin may contain a large number of infectious organisms. It is ok to get wet during the rainy season and enjoy the weather but a person must immediately clean themselves so that not only they do not run the risk of falling sick but also do not communicate the infection to others. A person’s shoes will get muddy during the rainy season and it can be a carrier of various microorganisms. Hence, a person must always remove their shoes before entering the house and ensure that the house is clean at all times. An individual must ensure that the sugar level in your body is controlled. A person’s kidneys can fail due to the high glucose level in your body. Renal failure can also be very dangerous for cancer patients and thus they must take extra precautions to ensure that their kidneys do not suffer. Renal failure for a cancer patient may create a lot of extra health complications and can increase the cost of treatment. Though a human has been bestowed with a pair of kidneys, it is always recommended that a person purchases a proper health insurance policy, and also a cancer insurance policy as well. 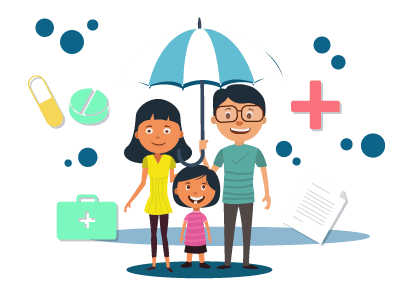 It is important to have a suitable health insurance policy or a mediclaim as a majority of the family in India end up paying up for the treatment of any health condition out of their own pockets. When one pays for the treatment of a health condition from their own pocket they generally let go of their hard-earned savings which they could have utilised to fulfill their other goals. Hence, the need for having a health insurance policy becomes very important and hence one should purchase a health insurance policy for themselves immediately. Cancer is one of the worst diseases one can encounter in their lifetime. The number of cancer cases across the country is increasing every year. One of the serious impacts of cancer is the expenses associated with the treatment process. With this significant rise, cancer covers could provide you with the much needed financial security in case of the occurrence of the disease. A cancer cover pays a fixed lump sum amount following the diagnosis of cancer. The percentage of sum insured amount provided to the policyholder may depend on the stage of cancer. The fixed sum insured amount is provided without the need for any medical bills or treatment reports. One of the advantages of a cancer-specific health insurance plan is that the premium costs are not very expensive. With the right insurance cover, you can take advantage of the income benefit, waiver of premium benefit, cumulative benefit, etc. A comprehensive cancer insurance is completely different from a critical illness rider that can be added to a base plan to gain additional protection. While a critical illness rider will offer financial support in paying for expensive treatments for a variety of critical conditions such as stroke, paralysis, multiple sclerosis, organ transplant, cardiac arrest, deafness, total blindness, etc. A number of life-threatening cancers are also covered by many critical illness riders. In most cases, the average critical illness rider will pay out a lump sum in case the life assured has been diagnosed with any of the critical conditions covered by the rider. The payouts offered by the rider can be used for co-pays, treatments, therapies and related medical expenses. Critical illness riders are less expensive in comparison with comprehensive medical insurance policies as protection is offered only for a few critical conditions. Critical illness riders can be bought as individual plans or riders that can be attached to existing health or life insurance policies. One of the prominent drawbacks of critical illness riders, however, is that they usually cover cancer during the advanced stage in the sense that they cover cancer only in case a malignant tumour displays uncontrolled growth and invasion of regular tissues. Moreover, critical illness plans do not offer a waiver of future premiums whilst revoking all the other benefits you would otherwise receive from a comprehensive health insurance plan. In case any of the illnesses covered by the critical illness rider have been detected in the policyholder, the plan cover shall cease. Cancer insurance plans, on the other hand, offer comprehensive coverage for each stage of cancer, thereby ensuring that the policyholder can continue to receive financial protection and save a lot of money that would otherwise be spent on treatments and therapies. All kinds of skin cancer. Cancer as a result of any pre-existing or congenital condition; chemical, biological or nuclear contamination; radioactivity from any therapeutic or non-diagnostic source or contact with radiation. Any type of cancer caused as a direct or indirect result of sexually transmitted diseases, AIDS or HIV. How do I make a claim for Cancer Insurance? Claim Intimation: Before you file your actual claim, you will first have to intimate the insurer of the upcoming claim. In order to intimate the insurer, you will have to reach out to the insurance firm on any one of their official customer care channels. You can find the insurer’s customer care channels on their official website or the policy brochure. Post intimating the insurer of the claim, you will also have to submit all supporting medical documents to the insurance firm. Insurance firms usually specify timelines within which time they will have to be informed of the upcoming claim. Claim Processing: Once the insurer has received all your documents, an assessor will scrutinise the same and evaluate the validity of your claim and whether it falls within the purview of your insurance policy. At this time, if any more documents are required, the insurer will communicate the same to the policyholder by letter/email/SMS. Claim Settlement: After evaluation of all the relevant supporting documents, the insurer will communicate their decision regarding the claim to the policyholder. The insurer can either approve the claim and settle the claim amount, ask for further documents, or reject the claim and communicate the reason to the concerned person. Most insurance firms generally settle the claim amounts via NEFT or ECS. Eligibility: A majority of the insurance policies provide cover for various types of cancers except for skin cancer. However, you will not be eligible for a cancer policy, if the condition is pre-existing in nature. You must select your cancer policy based on factors such as your lifestyle habits, the result of your screening test, and heredity. You must also list out the types of cancers you might be vulnerable to and based on that you can choose a cancer policy for yourself. Sum assured should be sufficient in nature: It is important that the sum assured chosen by you must be sufficient enough to cover the cost of the treatment of cancer. In today’s time when medical inflation is expected to grow and you are also becoming more susceptible to suffer from a serious condition like cancer, it is always safe to ensure that your cover amount is adequate enough to take care of the medical expenses related to your cancer treatment. Check for the waiting period and survival period: You must properly read the policy document and check the waiting period and the survival period. The waiting period is the duration of time you will have to wait before the insurance company starts providing you with the coverage. The survival period is the duration of time during which you will have to survive after which you can ask for your claim. You need to ensure that the waiting period and survival period are not too long and thus you must understand the fine print of your policy document before signing it. Check for your payment schedule: One of the ways that can help you determine whether the cancer policy is suitable for you or not is to check whether the policy provides coverage to you for all the stages of cancer. A good cancer policy will provide you with 30% of your cover amount during the early stage, and 70% of the remaining amount for later stages. Check for additional features: While purchasing a cancer insurance policy for yourself, you must look for features which can help you from a financial point of view in future. Some of the benefits which a cancer insurance policy may provide you are regular income for a fixed period, or waiver of premium. Duration of your cancer insurance policy: The treatment of cancer can be a long and tedious process depending on which stage you are on. Hence, it is always safe to ensure that your cancer insurance policy covers you for a longer period of time. Having a cancer insurance policy which provides cover for a longer period of time can be financially beneficial while you continue to pay the same amount of premium throughout. Check the exclusions: You must surely look for exclusions in your policy before you sign on the policy document. For example, a majority of the cancer insurance policy restrict coverage for the early stage of your cancer to 20-25% of your cover amount. There are certain policies which may not cover a certain type of cancer. Thus, you must ensure that you are completely aware of the exclusions under your policy before you sign the document so that you do not face any claim-related problems in the future. Track record of the insurance company: One of the most important points that you must keep in mind when purchasing a cancer insurance policy for yourself is to check the track record of the insurance company from whom you are purchasing the policy. One of the best methods to check whether the insurance company is suitable for you is to check their claim settlement ratio. Remember, higher the claim settlement ratio, better the insurance company is likely to be. The last thing that you will need is the delay in claim settlement and therefore, you need to purchase your policy from a company which does not take too much time in settling your claim. Thus, choosing a proper cancer insurance policy is extremely important as you would want a scheme that would provide you with the necessary financial assistance while you get treated for cancer. You need to ensure that you are getting adequate coverage with your cover amount, sufficient enough to take care of your medical expenses. You must also look for features which would ensure that you or your family do not face any monetary problems while your treatment for cancer is in process. You must also look for the exclusions in your policy, and make sure that the policy covers the majority of types of cancer. You must also ensure that you are purchasing your cancer insurance policy from a reputed and trusted insurance company. In the end, you must properly research and compare different cancer insurance plans, and based on your needs and medical history you can choose the most suitable cancer insurance policy for yourself. According to a report, as many as 10 lakh people are diagnosed with cancer each year and over 60% to 70% of those, I.e., 6 to 7 lakh people succumb to the disease. Also, cancer treatments are often extremely expensive and more often than not, the patients only prolong their lives for a few more years before the condition relapses and with it some more complications. Of late, nearly every comprehensive health insurance policy comes with coverage against all sorts of cancer to reduce the level of financial constraints on the patients, however, it is only a stop-gap solution of sorts. Keeping this in mind, life insurance companies have come up with specific plans to come to the aid of cancer patients. In this section we will tell you a few basic things about what a cancer insurance policy is all about and some of the aspects relating to it. It’s not the same as comprehensive health insurance plans: As mentioned above, a Cancer Insurance Policy is not the same as a comprehensive policy because the coverage offered by these two are entirely different. For starters, a cancer insurance policy is available for cancer patients and it covers all sorts of cancer. On the other hand, a comprehensive policy offers generic coverage against a list of illnesses. Offers coverage for all stages of the disease: These policies cover you for all stages of the disease and will pay a lump sum amount when a person is diagnosed with the illness. Further, the policyholder can choose to receive payouts in two different ways: lump sum cover or lump sum cover with monthly income. Also, if the cancer is benign at the time of diagnosis, some plans waive off premiums for a period of time while still keeping the coverage intact. Can offer robust coverage when compared to critical illness plans: While critical illness plans offer coverage against a host of illnesses, a cancer-specific plan offers much better coverage and covers hospitalisation as well as the initial stages of recovery. Besides, it allows policyholders to choose a payout that is beneficial to them. Critical illness plans, on the other hand, don’t offer this benefit. Should be bought before the age of 60: As you may already know, insurance is a game of odds which is stacked against the older people. This is the reason why it costs more for them to get coverage. So, if you decide to take a cancer-specific plan, make sure to do so before you hit the age of 60, so as to reduce the premium amount. With the number of cancer patients rising each year, a cancer-specific plan is worth your consideration, especially if you are a smoker or have other such vices. So, consider looking into such a plan to keep yourself relatively safe if disaster strikes. And as they say, it’s always better to be safe than sorry. It’s your time now! If you stay in an urban area then the chances of you getting diagnosed with a serious health condition are extremely high. While diabetes and blood pressure have become very common health conditions, the other disease which most of the urban people risk suffering from is cancer. More and more people are getting diagnosed with cancer in India. While women are suffering from breast cancer, more men are getting diagnosed with lung and prostate cancer. The biggest concern for someone who suffers from cancer are the expenses related to it. The cost of the treatment of cancer is extremely expensive and can burn a huge hole in your pocket. So, is there any solution to ensure that you can minimise the cost of the treatment of cancer or simply ensure that you do not get diagnosed with the condition? Actually, there is none. Simply maintaining a healthy diet or regularly hitting the gym may not suffice, as if you get diagnosed with any form of cancer, the chances are extremely high that you will have to shell out a large sum of money for the treatment. Though you may not have any control over whether you can be diagnosed with the disease, you can, however, ensure that you do not have to shell out a large sum of money from your pocket. Hence, you must purchase a cancer insurance policy for yourself. There are various reasons why you need a cancer insurance policy for yourself. First of all, according to a report by the National Cancer Registry Program, which is hosted by the Indian Council of Medical Research, more than 1300 people die of cancer on a daily basis which strongly suggests how regularly cancer has started occurring in urban India. The mortality rate has also increased by 6% in India and is expected to rise up to 17 lakh by the year 2020. When you look at these numbers, you can be very much sure that the chances of a person getting diagnosed with cancer are extremely high and thus the need for a cancer insurance policy rises. The treatment of cancer is also extremely expensive in nature. The cost of medical treatment has jumped to new levels due to inflation and is expected to rise in times to come. It is extremely difficult for a middle-class family to afford the expenses related to the treatment of cancer since it is a menacing disease and needs extensive care for the condition to be treated. Even after the surgery, a person has to be under extensive medication and care, which only adds to the cost, and thus it can become extremely expensive for a person to fully pay from his/her own pocket to cover the expenses. Thus, a cancer insurance policy becomes very important as it covers different forms of cancer and helps you in saving your hard earned money. Due to a large number of people getting diagnosed with cancer coupled with inflation, which has made medical treatment extremely expensive, it has become extremely important for us to purchase a cancer-related insurance policy. However, there are various options under cancer insurance which you must consider as per your needs and then only zero in on the most suitable one. There are insurance companies which offer a comprehensive health insurance plan that covers cancer. These types of plans cover major forms of cancer and take care of the expenses related to surgery, chemotherapy, day-care treatments, etc. They also cover the expenses related to pre-hospitalisation and post-hospitalisation. These types of plans significantly reduce the financial implication that you would have otherwise faced if you did not have a cancer insurance policy. A critical illness plan is designed to cover only specific conditions. When you are diagnosed with any specific health condition, the insurance company then pays you a lump-sum amount for its treatment. Cancer is one of the many diseases which your insurance company may cover. In case you get diagnosed with any form of cancer, the insurance company will pay you a lump-sum amount regardless of the expense incurred by you for the treatment of cancer. There are types of health plans that you will come across which specifically cover only cancer. In case you get diagnosed with any form of cancer, the insurance company will pay you a lump-sum amount and bear the cost of treatment of cancer. These types of plans are of huge financial help especially during the time when you are getting treated for cancer and need a good amount of money for the treatment of the condition. How can you decide on a plan? It is generally recommended that you purchase a comprehensive health insurance policy and attach to it a cancer insurance plan or any other critical illness plan. It is always advisable to purchase a health insurance policy where the insurance company provides comprehensive cover which includes cover for the treatment of cancer. Since these types of plans provide you with a lump-sum amount, you can then easily take care of the expenses which arise out of the treatment of cancer. Purchase a cancer insurance policy when you are young so that it is cheap and affordable and you do not have to pay high premiums. Choose a sufficient cover amount since the medical costs are expected to rise in future. The cover amount should be enough to bear the expense arising out of the treatment of cancer. Always read the policy thoroughly in order to avoid any problems related to your claim in the future. Cancer is a huge menace and its treatment is expensive as well. While it is not fully possible to avoid getting diagnosed with cancer, you can take financial precautions by purchasing a suitable cancer insurance plan which would ensure that you do not have to face any financial problems in case you get diagnosed with any forms of cancer. Can I make changes to the terms and conditions of the policy if the policy term has commenced? A. Changes in all terms and conditions will not be allowed once coverage starts, but customers have the freedom to increase the sum assured at any time. Will it be difficult to avail cancer insurance in case my family has a history with cancer? A. No. Proposal forms will be accepted from a customer even if he/she has a family history of cancer. However, such customers will have to furnish a detailed description of their cancer history. What are the eligibility criteria for availing a cancer insurance plan in India? A. Customers who wish to avail a cancer insurance plan will have to meet the age criteria which usually require them to be between 18 and 65 years of age. Customers will also have to make premium payments towards their plan and select a sum assured before availing the policy. What is the minimum and maximum sum assured for cancer insurance plans? A. While some companies allow customers to select a sum assured worth Rs.5 lakhs at least, the minimum sum assured for some companies is higher. In the same way, the maximum amount of cover you can avail from a cancer insurance plan will also change from company to company. How are the benefits paid out in case I am diagnosed with cancer? A. Different plans have different payout structures. While some plans will provide the customer with the entire sum assured upon diagnosis, some plans offer a certain percentage of the sum assured as a lump sum and continue to pay out the remainder over regular intervals of time. Do cancer-specific policies cover all stages of cancer or do they only provide a benefit in case of being diagnosed with major stage cancer? Most cancer care policies in the market cover major and minor stage cancer. Thus, no matter what stage of cancer the policyholder is diagnosed with, he/she will get the corresponding benefit. What other benefits are covered by cancer insurance policies? The benefits provided by various insurance policies will differ based on the policy’s coverage limits, inclusions, and exclusions. For more information on the same, make sure to go through the policy document or brochure. In case of the cancer patient’s death, will the insurer provide a payout to his/her nominee? Most cancer insurance plans do not provide a death benefit, thus no benefit will be paid to the nominee in case of the policyholder’s death. However, if the death benefit is part of the benefits offered under the policy, the nominee will be entitled to receive a payout in the event of the policyholder’s death. Do cancer care policies cover pre-existing illnesses? In most cases, pre-existing diseases are not covered by cancer insurance policies. You will find the whole list of exclusions in the policy brochure. Is there a waiting period under cancer insurance plans? Most cancer insurance policies that are offered come with a 180-day waiting period. Thus, if the policyholder is diagnosed with cancer during the waiting period, no benefit will be paid. What is meant by ‘Survival Period’? To be eligible to receive the payout offered by the insurer, the policyholder has to survive for at least a period of 7 days, post diagnosis of the disease. This 7-day period is known as the survival period. Do cancer policies provide tax exemptions? Yes, you can claim tax benefits for premiums paid under Section 80D of the Income Tax Act, 1961. I already have a health insurance cover, do I still need to purchase a Cancer-specific insurance policy? A health insurance policy offers comprehensive coverage against a range of illnesses and diseases. And while health insurance plans do cover critical illnesses, they usually only cover inpatient hospitalisation, and not the entire treatment costs. Thus, it is advisable to purchase a cancer-specific policy, even if you already have a health cover. Will premium rates remain constant for the duration of the policy tenure? Your premium rates will remain constant for the duration of the policy tenure. At the time of renewing the policy, the insurer may increase your premium based on your current age, lifestyle, sum insured, etc. Do cancer care policies have a free-look period? Yes, cancer insurance plans come with a free-look period. The free-look period is usually either 15 days or 30 days. Can cigarette smokers apply for cancer insurance plans? Yes, you can apply for a cancer insurance plan even if you are a smoker. However, you will have to declare this fact at the time of purchasing the policy. Failure to do so could lead to your claim getting rejected. Will a policy buyer have to undergo a pre-policy medical screening before purchasing this plan? Policy buyers might have to undergo a pre-policy medical test on the basis of their age, sum insured, lifestyle, and other factors. Will I get a surrender benefit if I surrender this policy before the maturity date? Most cancer insurance policies do not have a cash value attached to them. Thus, you will not be paid a surrender benefit even if you surrender your policy. What documents should a policyholder submit at the time of submitting the claim? At the time of making a claim, the policyholder will have to submit the filled and signed claim form, supporting medical documents, bills, and any other reports that are requested by the company. Are cancer care policies yearly renewable or can they be purchased for longer tenures? Insurance providers offer cancer insurance plans with policy tenures between 5 and 40 years. Thus, when you purchase a policy, you can opt for a policy tenure that is best suited to your needs. Securing the lives of your loved ones is a must, and a life insurance plan can help you to this end. A few popular types of life insurance plans include Term Life Plans, ULIPs, Endowment Policies, Whole Life Policies, Pension Plans, and Money-Back Plan. To know more about the different types of policies and the benefits of life insurance. Term insurance plans, a popular choice among policy buyers, are an economical way to secure your family financially. For information on the various types of term insurance plans in the market, key features and benefits, claim process, and lots more. A World Health Organisation (WHO) report states that breast cancer treatments in India are expensive enough to push families into poverty with early-stage breast cancer treatments equalling average annual wages of up to 10 years for the poor. The absence of insurance coverage means that the cost of medicines for the treatment of cancers such as prostate, lung, breast, melanoma, and colorectal must be borne in full by patients. Breast cancer is the most common form of cancer that affects Indian women. Early-stage HER positive breast cancer requires treatment that is more expensive than others, amounting to nearly Rs.12 lakh. Between the years 1990 and 2016, the incidence of breast cancer among women in India has gone up by 39.1%. Patients who do not have public or private health insurance must bear the cost of chemotherapy as well as surgical intervention for certain cancers, which only increases their financial burden. Even though certain treatment regimens for specific cancers are more affordable, the cost of medical treatment in India is still high. The mean cost of hospitalisation in India is the highest for cancer, which is currently at Rs.57,232. In a meet organised by Bengal Oncology Foundation(BOF), the cancer survivors got together to discuss how cancer can be detected in its early stage and prevent people from spending an insurmountable amount behind its treatment. Dr. Gautam Mukhopadhyay, the secretary of BOF talked about how expensive it is to treat cancer and hence why it is important to have the knowledge of detecting cancer early in life. Pradip Mitra, The director of medical education said that the Government of Bengal has been working to improve health services including the services for cancer treatment. The government has already acquired five linear accelerator machines which will help during the treatment of cancer patients. However, its installing in different government hospitals will take some time. Mitra also said that the number of cancer patients will rise due to factors such as an increase in life expectancy and hence it is important to educate people about the medical condition from school level itself. BOF has been working to make people aware of cancer not only in the city of Kolkata but also people from other districts and rural areas. BOF has conducted various campaigns where the aim has always been to educate people about cancer. According to Mukul Kumar Mishra of Elets Technomedia, affordable medical facilities are now offered by various healthcare facilities owing to the introduction of disruptive technologies like robotics, internet of things, artificial intelligence, etc. With this fast-paced change, people now have access to various affordable technologies in diagnostic equipment, telemedicine, and imaging. He notes that the health industry in India has witnessed major changes during the last decade, and this has enabled access to high-quality healthcare and reduced the cost of delivery. Moreover, higher awareness among the general public has led to a strong demand for quality healthcare. Some of the key innovations witnessed in the healthcare industry include advancements in vaccines, new drugs, telemedicine, and diagnostic tests. Thanks to the central government’s national health insurance scheme, Pradhan Mantri Jan Arogya Yojana (PMJAY), earlier known as Ayushman Bharat, the underprivileged can now access tertiary healthcare facilities. So far, about 1.25 lakh patients have undergone tertiary care procedures such as radiation oncology, surgical oncology, cardiac bypass, total knee replacement, and so on. Though only 33% of the total number of hospitalisations were for tertiary care, it assumes significance as tertiary treatments in private hospitals were exorbitantly priced and were hence inaccessible for the low-economic groups. The largest share of claims was for secondary healthcare procedures that constituted 66% of all claims. However, though the percentage is high, the value of claims for tertiary care was Rs.150 crore, the value of all claims put together was Rs.396 crore. The government, through PMJAY, aims to increase the overall accessibility of healthcare for tertiary treatments to 7,000 patients per day against 6,000 patients. Also, the government expects a gradual increase in the number of cases requiring tertiary care procedures once the hospital network of Ayushman Bharat is expanded. Currently, 10,000 speciality hospitals and 13,000 multi-speciality hospitals have been empanelled under the scheme. The Union Health Minister, JP Nadda, in his address during the inauguration of the Fifth National Summit on Good, Replicable practices, and Innovations in Public Healthcare systems in Kaziranga, said that 1.5 lakh people have benefitted from the Pradhan Mantri Jan Arogya Yojana (PMJAY) within the first month since the launch of the scheme on 23 September by Prime Minister Narendra Modi. He stated that the total value of all the bills submitted during the period goes up to Rs.190 crore. Nadda opined that health is a sensitive subject and that the scheme has to be implemented throughout the country at a quick rate. He said that care should be taken with respect to skill and that skill should be improved over time in the health sector. He stressed on the fact that the international community will be watching over how the country performs in the health sector and urges health officials to perform as per their expectations. The Chief Minister of Assam, Sarbananda Sonowal who inaugurated the summit with Nadda, said that PMJAY, in the long run, will reduce the financial burden on the underprivileged in terms of the expenses incurred on the healthcare services availed. Future Generali India Life Insurance, in partnership with Momspresso, recently revealed the findings of a survey that was conducted to understand the awareness of breast cancer among women in India. The survey was done across 10 metro cities with a sample size of 2,225 respondents. The survey found that around 60% of the women in the country are aware of the incidence of breast cancer in India, with 1 out of 2 women in the country felt like they were at risk for being diagnosed with breast cancer. The survey also found that although nearly 80% of the participants knew that they had to undergo regular screenings for breast cancer, only 25% of the respondents actually underwent check-ups. Further, nearly 75% of the women who participated in the survey did not undergo breast cancer tests simply due to inertia or ignorance. The survey revealed that 2 out of 3 women did not know that a self-examination could help detect breast cancer. Furthermore, 65% of the women were not aware of mammography, while almost 80% of the respondents were not aware of clinical breast examinations. The survey also uncovered that nearly 60% of the respondents were uncomfortable discussing the disease with their family and friends. 70% of the participants were found to be unaware of the various treatments for cancer. 12% of the respondents who participated in the survey had themselves suffered from breast cancer. It was found that 50% of the women assumed that that the cost to treat the disease would be under Rs.2 lakh and around 72% of the respondents were not aware of cancer insurance plans. The well-known Apollo Munich Health Insurance Company has rolled out a new cancer insurance plan that not only takes care of the insured person’s financial needs but his/her family’s too. While the insured person will need financial assistance in order to pay for the treatment expenses, the family will need financial support during the time when the insured person cannot earn and contribute to the family. With this idea, the insurance company has launched two variants of the cancer insurance plan named iCan. iCan Essential is the basic plan that offers coverage for in-patient treatment, out-patient, and day care costs. Under this benefit, known as the MyCare benefit, conventional as well as advanced treatments are covered. Under the other variant named iCan Enhance, in addition to the MyCare benefit, a CritiCare benefit and a FamilyCare benefit are also offered. The CritiCare benefit pays out 60% of the sum insured amount over and above the original sum insured amount when the person is diagnosed with cancer of a specified severity. The FamilyCare benefit, on the other hand, provides 100% of the sum insured amount over and above the original sum insured amount in case stage IV of cancer is diagnosed or if the cancer recurs. This comprehensive cancer insurance policy is highly beneficial and has a waiting period of only 120 days. According to a study by the Indian Institute of Population Sciences (IIPS), two of out five cancer patients in India sell their assets or borrow money in order to cover the cost of hospitalisation. The study has also revealed that cancer causes the highest financial distress after heart diseases. The researchers used data from the National Sample Survey and studied 42,869 hospitalisation cases across India in 2014 in order to arrive at the conclusion. One of the reasons revealed why cancer patients suffer such high financial distress is due to prolonged treatment which increased the medical and non-medical costs. Standalone health insurer Apollo Munich has launched a new cancer-specific insurance policy named iCan. This policy provides coverage for all stages of cancer and ensures that the insured gets adequate coverage for various medical treatments arising out of cancer. Various conventional cancer treatments like chemotherapy and radiotherapy are covered by this policy. It also provides coverage for any organ transplant requirements arising out of cancer. In addition to the basic treatments, advanced medical treatments like stem cell transplant, hormonal therapy, immunotherapy, proton beam therapy, etc., are also covered under this plan. This policy comes with flexible options like CritiCare and FamilyCare that provide lump sum benefits upon diagnosis of cancer at various stages. This policy offers lifelong coverage option with the possibility of annual renewal. With this cover, policyholders can take care of their medical needs as well as the financial requirements of their families. One of the notable features of this policy is that it can be renewed even after a claim made for the early stage of cancer. The Prime Minister of India, Narendra Modi recently announced the launch of the Ayushman Bharat scheme, which has been labelled ModiCare by the media. Rolled out under the Pradhan Mantri Jan Arogya Yojana (PMJAY), the Ayushman Bharat scheme is all set to be the biggest healthcare scheme in the world and will offer health cover to more than 500 million individuals and 10 lakh families. The scheme will assure health cover to the poorest of the poor in the country, up to Rs.5 lakh per family per annum. Commenting on the scheme, top Urologists are in favor of the scheme as they believe that the scheme will help the rising cases of prostate cancer in the country. According to urologists, following cases of oral cancer, prostate cancer is the highest amongst males. Commenting on the scheme, Dr. Anup Kumar, Head of Department of Urology and Renal Transplant at Safdarjang Hospital, said that the PMJAY, the government, in consultations with healthcare providers, has fixed up charges for treatment for all urological disorders and that will be reimbursed by the insurers. Due to lack of awareness in rural areas people tend to ignore prostate problems and now with PMJAY in place, a large number of people can avail treatment for prostate cancer which is the second largest cancer in the country.